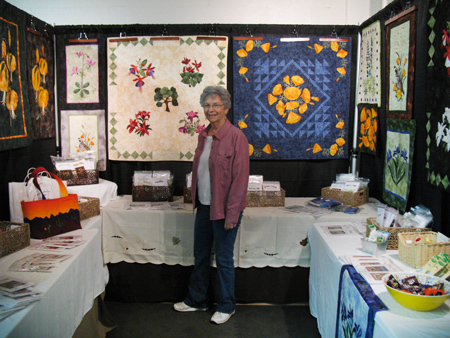 Every other year the Tokay Stitch ‘n Quilt Guild of Lodi, California, put on a delightful show. 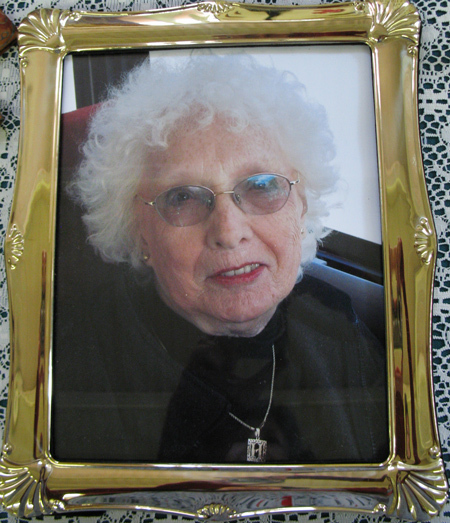 While I was there I was so happy to see guild member Thelma Welch once again. 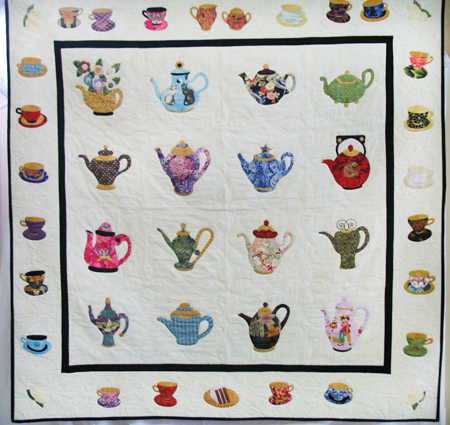 Two years ago I blogged about her unbelievable Baltimore Album quilt, and at about 85 years of age, Thelma is still at it. 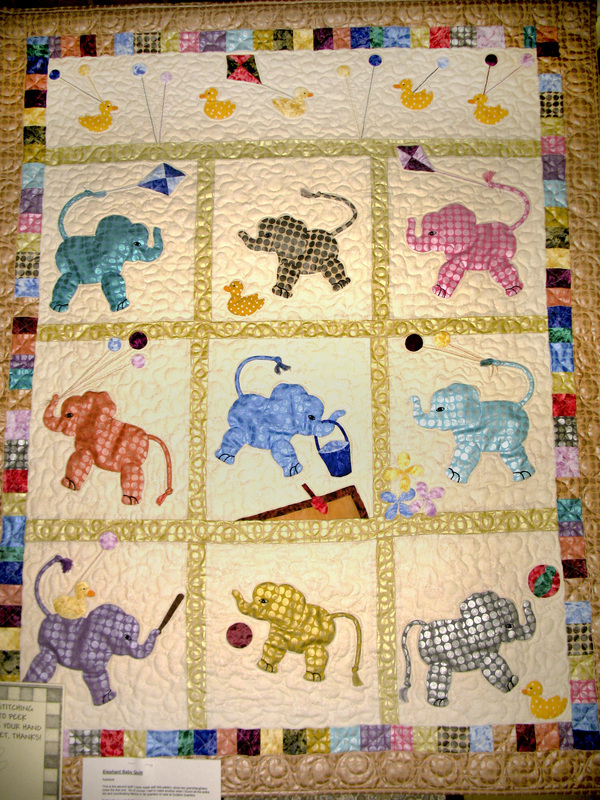 Look at this elephant quilt that is one of her latest creations. 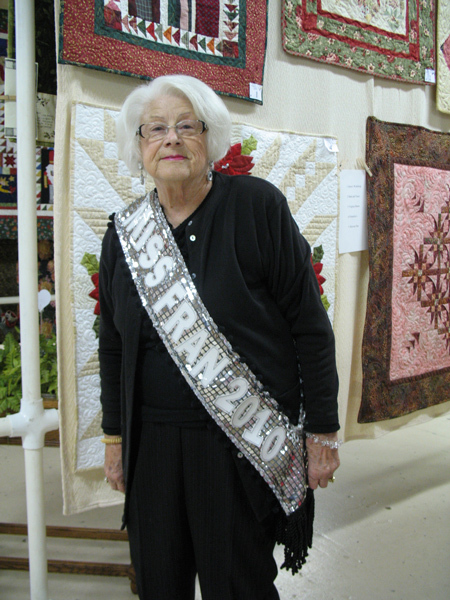 The show’s featured quilter was Fran Schmidt. 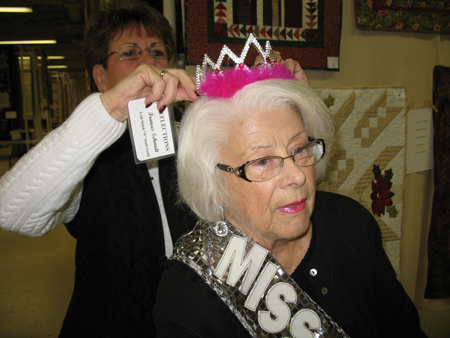 Here’s Miss Fran in her sparkly sash denoting her status. We made her put on the tiara too. 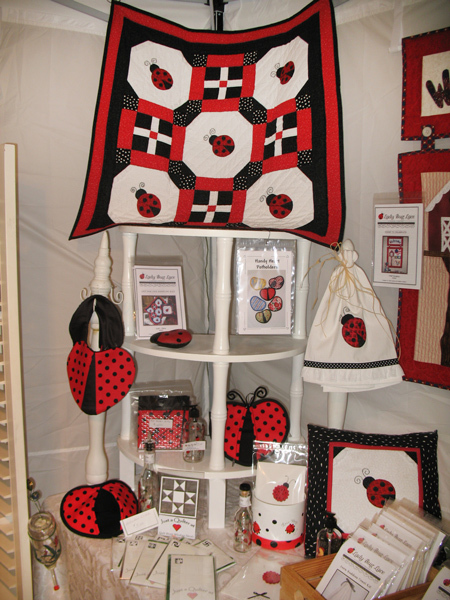 Here’s one of her many wonderful quilts that were part of the featured display. As usually happens at a show, I made some new vendor friends. 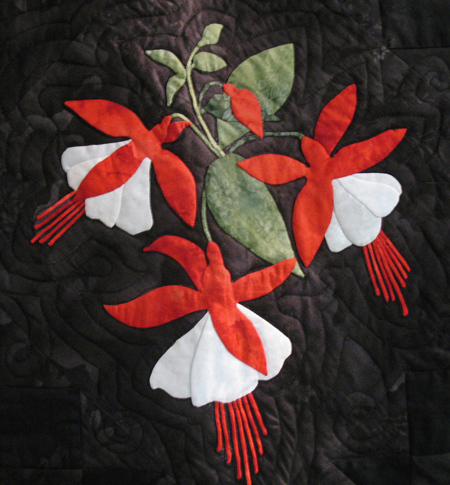 Across the hall from me I discovered the elegant appliqué designs of Bobbie Y. Jarrett. 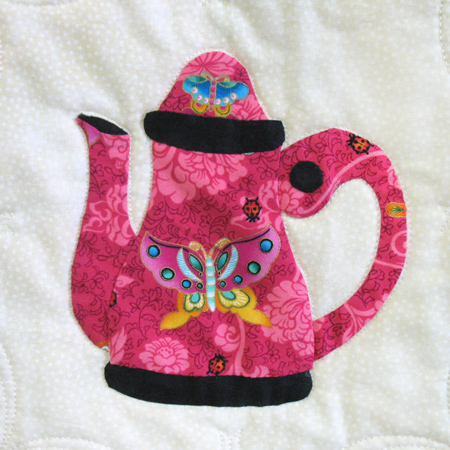 That’s some eye candy for us appliqué enthusiasts, no? 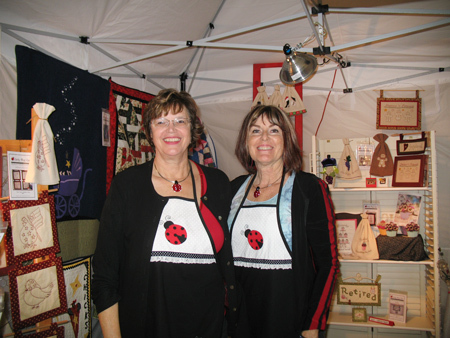 Right next door to me were two fantastic ladies who are just starting out on this designing adventure, and IMO they’ve got “it.” Meet Rita Traxler and Debbie Holland of Lady Bug Lace. 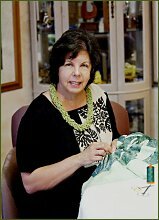 Last month I had the privilege of taking a class in Hawaiian appliqué from Maui resident Keri Duke. 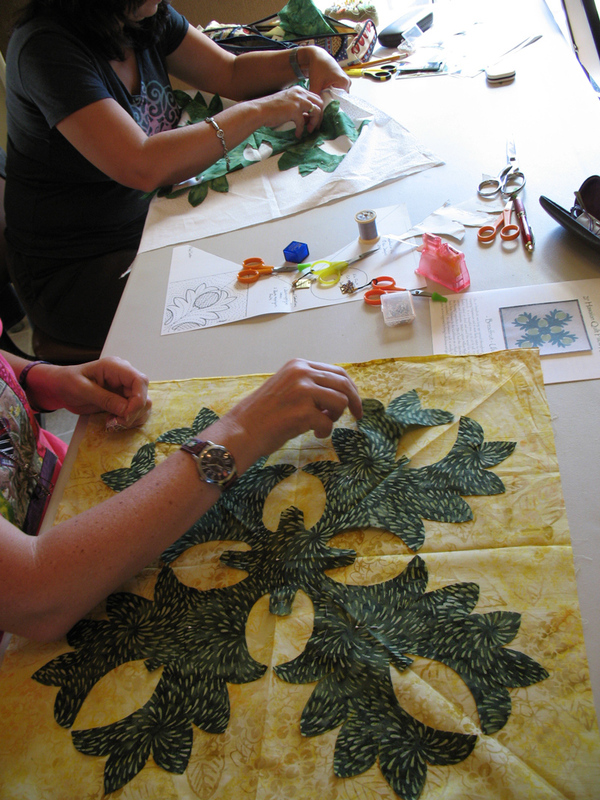 Keri was here for Pacific International Quilt Festival and came a week early to give a workshop for our guild. She’s snorkeling buddies with our program chair Tracey Brookshier so yay for us! It was a beautiful day and a great location for a workshop. 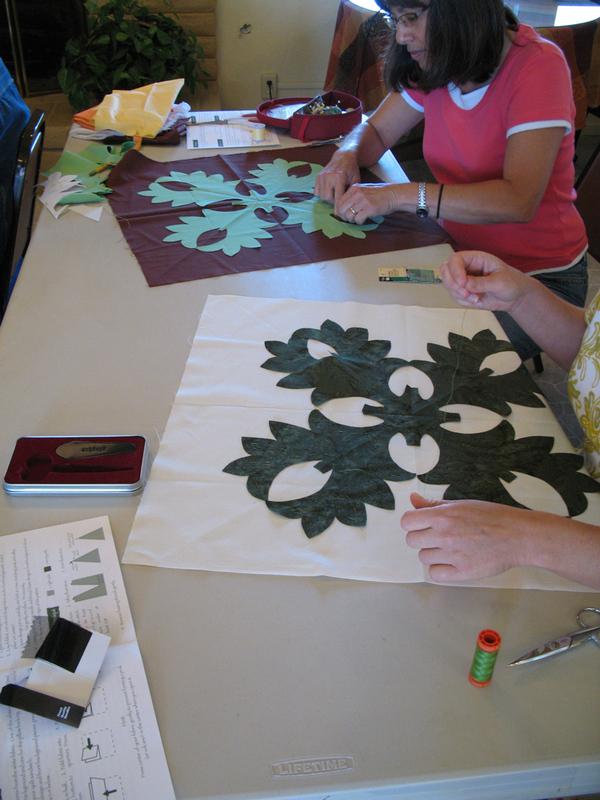 We were making a traditional breadfruit (ulu) appliqué. 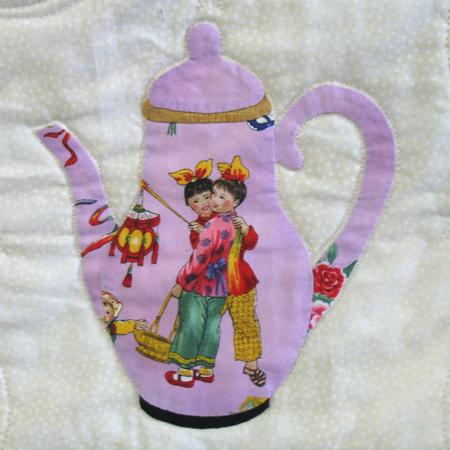 As Keri told us, this is usually the first pattern made by a quilter because it is supposed to bring fruitfulness and good luck in life. 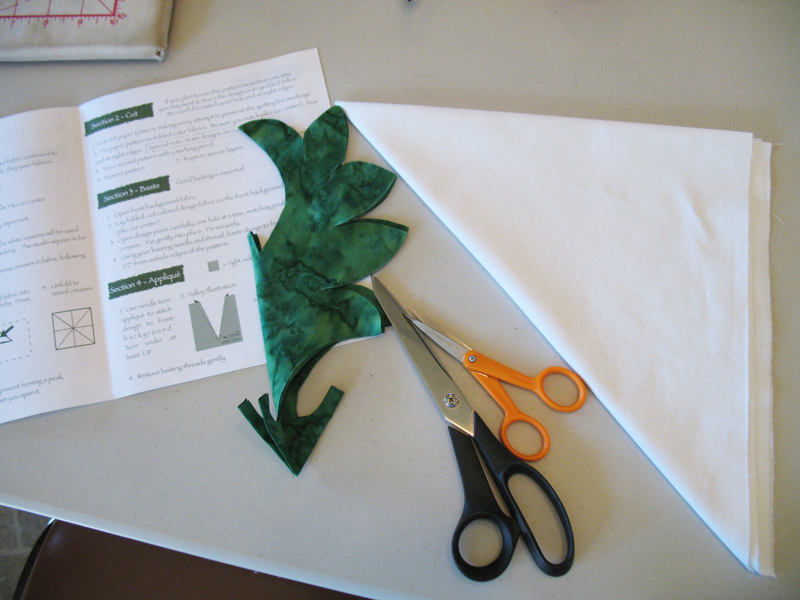 Cutting out the motif, folded in eighths. My big basting stitches. I was the first one done basting; some spent the whole morning just basting, using little bitty precise running stitches instead of big honking toenail catchers. Not necessary, gals. Just throw ’em in there. Some of the class members chose other colors for their projects. It looks good any which way you do it. 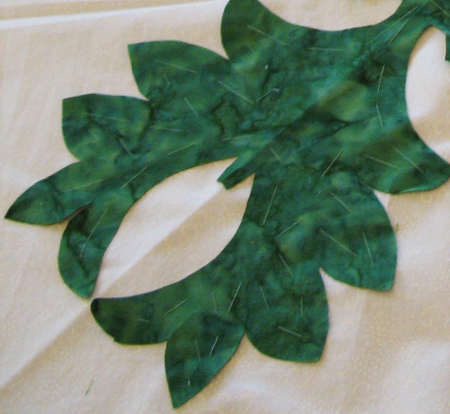 After the entire dark-green leaf motif was basted, we did traditional needle-turn hand appliqué. I’m a fast stitcher (well, you know, it isn’t my first rodeo) and I had my block all done for Show & Tell at quilt guild the next night. 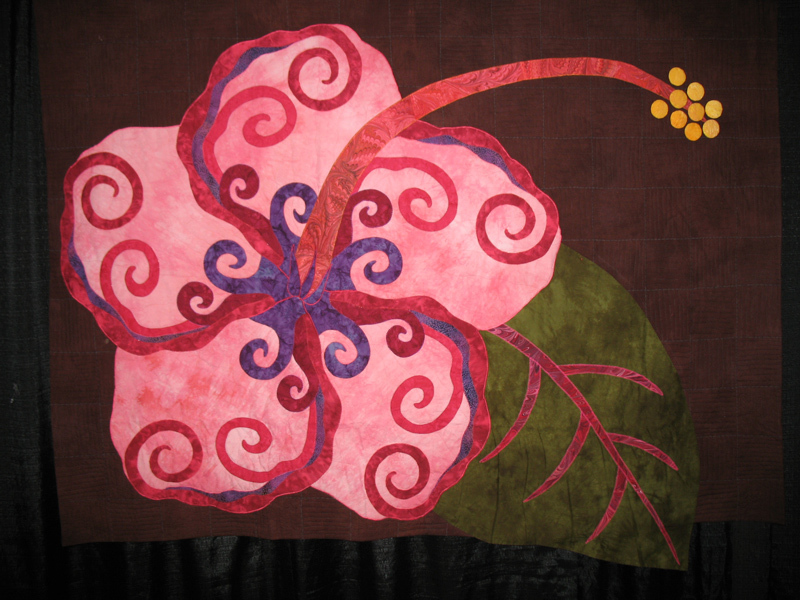 This type of Hawaiian appliqué is about the most fun, I think. Once you get it all prepped, you just sit and stitch and stitch to your heart’s content. The following week was PIQF. 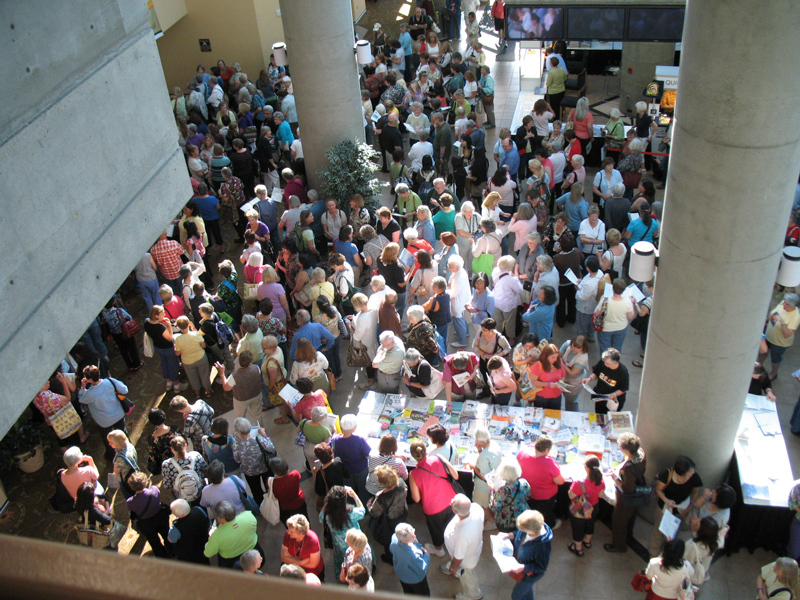 The crowd waiting to get in on Thursday morning. 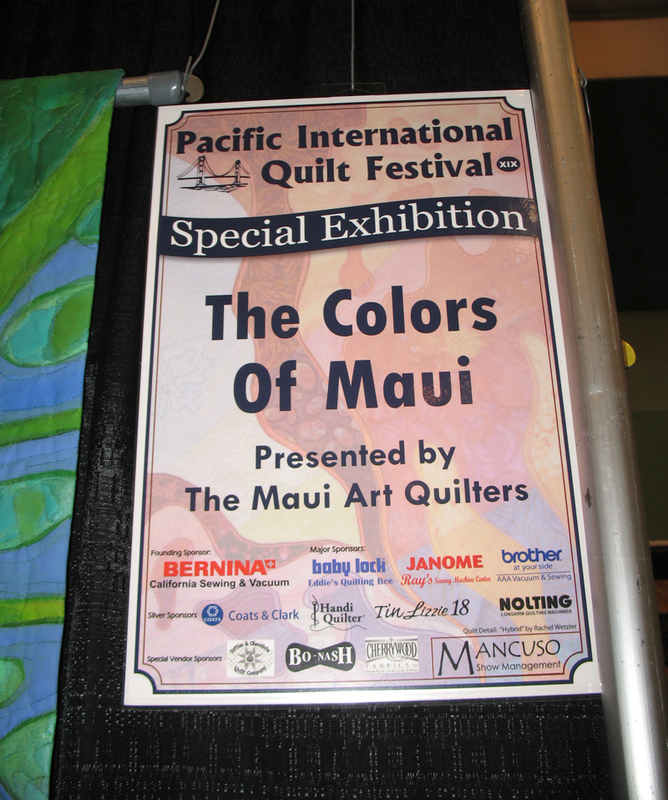 Once I made it inside the doors, I chatted with Keri in her Keri Designs booth, and I was delighted to learn that she and another quilter had curated a special “Colors of Maui” exhibit for the show! 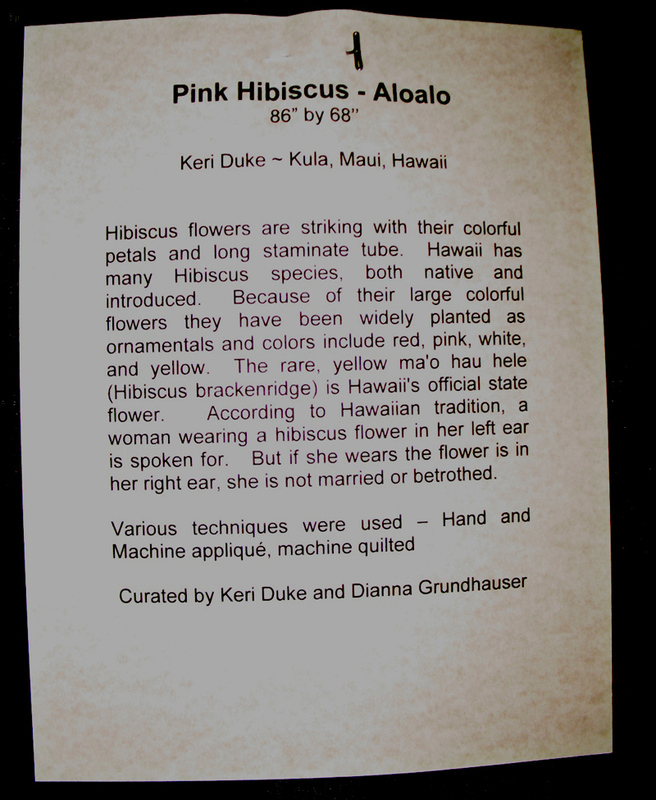 This hibiscus was my favorite entry, and come to find out, it was Keri’s! 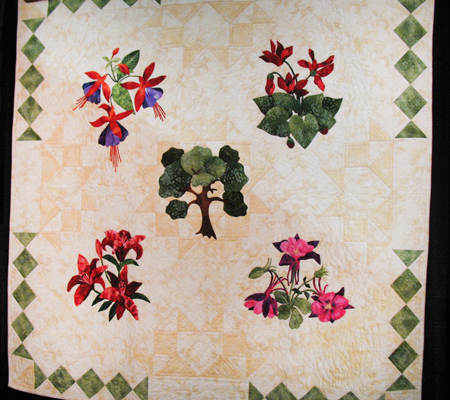 If you’d like to go on a tropical tour of the Colors of Maui, there’s a lovely slideshow posted over at The Quilt Show. Enjoy! 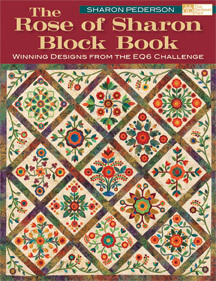 This month’s featured book is The Rose of Sharon Block Book: Winning Designs from the EQ6 Challenge by Sharon Pederson. 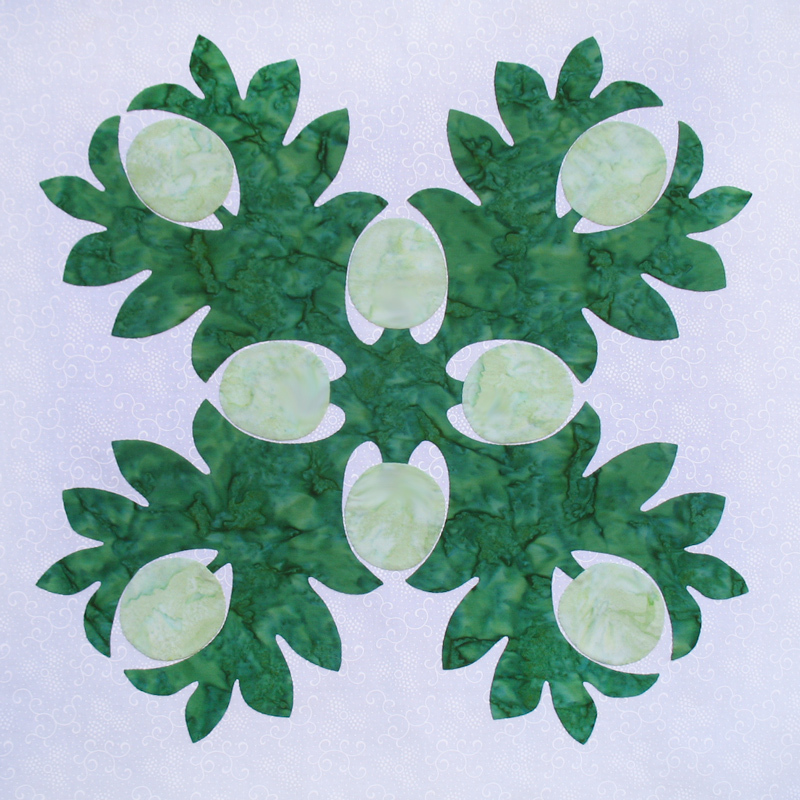 A year ago, quilt designer, author, and teacher Sharon Pederson issued a challenge to appliquérs worldwide to design a block using a special fabric collection and just three shapes… the classic eight-lobed scalloped blossom, center circle, and symmetrical leaf that are found in traditional Rose of Sharon blocks. 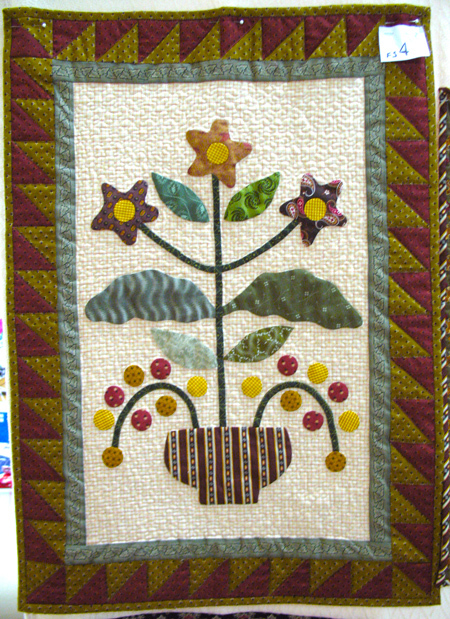 The challenge was a wonderful collaboration among companies: the book from That Patchwork Place, a DVD from Sharon’s company Nine Patch Media, project files and templates available on the Electric Quilt website for anyone who owns the program, shape-cutting dies from Accuquilt, a CD of embroidery designs from Oklahoma Embroidery, and the fabric collection from Island Batik. 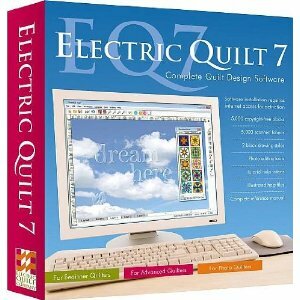 The very cool thing about this whole event is that it supports a truly worthy cause in the process… the Alzheimer’s Art Quilt Initiative. 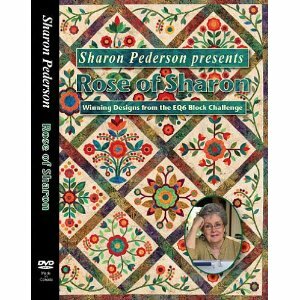 Sharon received over 850 blocks, from which judges Alex Andersen and Ricky Tims selected 12 winners. 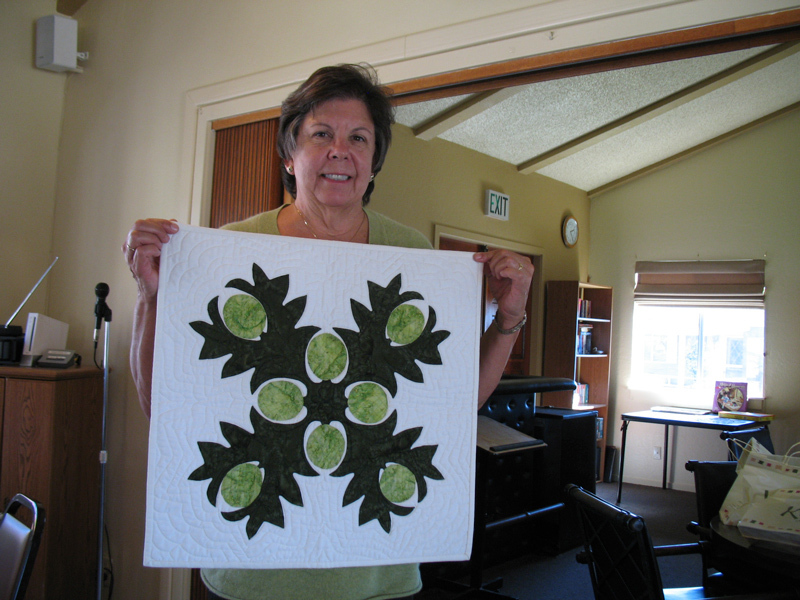 Sharon designed a thirteenth block and assembled them into the beautiful quilt that is seen on the cover of the book. 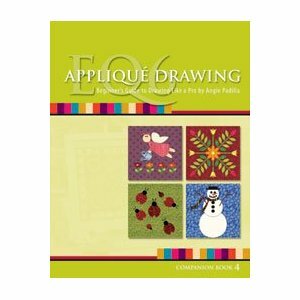 In all, 83 blocks are included in the book for your appliqué pleasure. 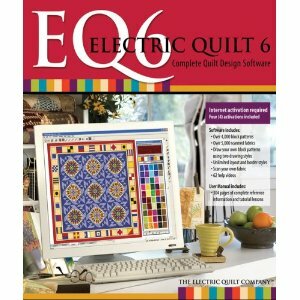 You can make the cover quilt or you can design your own as you please. 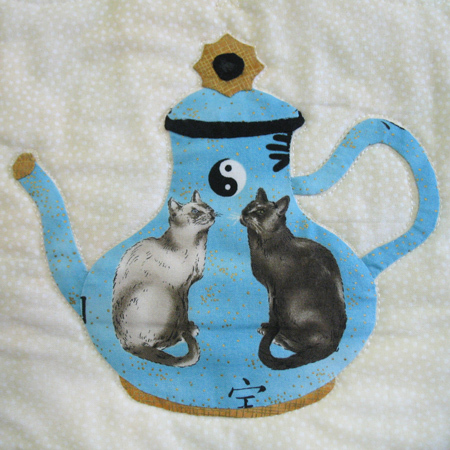 You can also use any appliqué method. 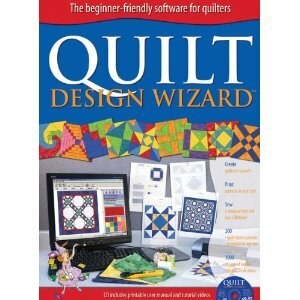 The author gives information on her own method of machine appliqué but invites quilters to use whatever they prefer. 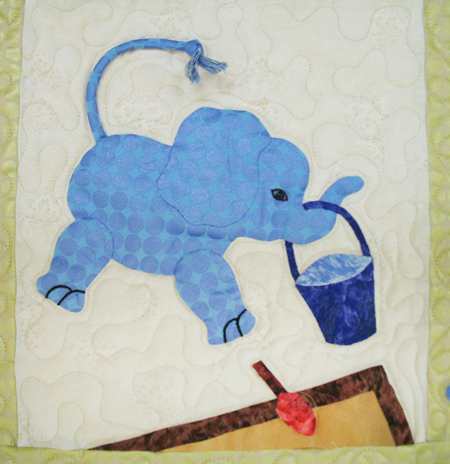 Sharon is known for her method of quilting and joining block-by-block to break the chore down into smaller, more manageable bites, and gives the information in a “Quilting 101” section, but again encourages quilters to use any method of finishing they like. 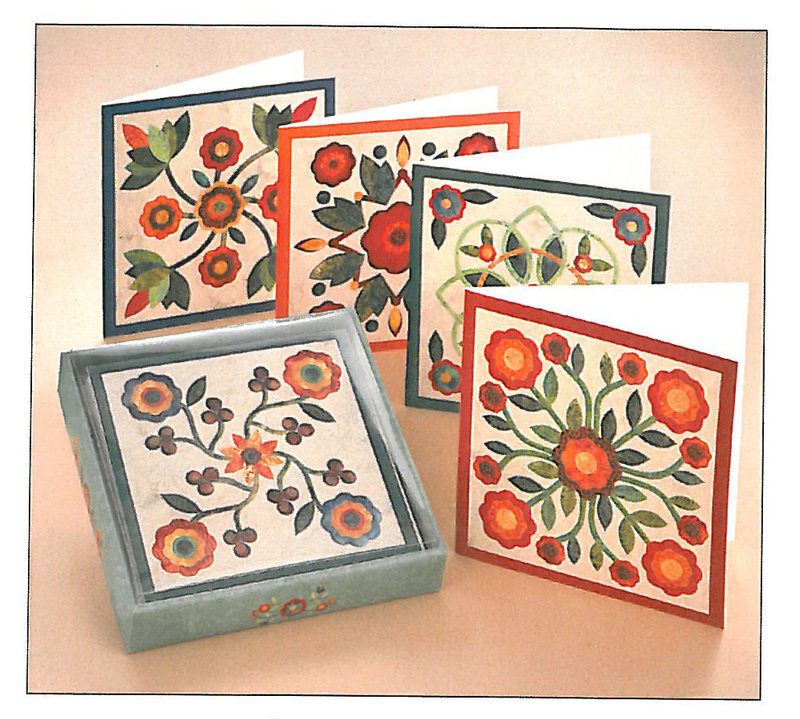 That Patchwork Place has also put out a boxed set of notecards featuring the winning designs. They just sent me a set! These beautiful 5 x 5 note cards feature the top 12 designs from the challenge, each card showcasing a different block. They’re blank on the inside for adding a personal message and are coming along just in time for holiday stocking stuffers! I’m really coveting these note cards for myself… but oookay, they’re going in with the book for the drawing. Leave a comment by 7:00 p.m. California time on Sunday, November 9, to enter the drawing. Those subscribed by email or feed reader, remember you’ll need to click over to the blog itself to leave a comment. Here are some links in case you’d like to follow up a little more.